Elegant pendant with 5 stylish glass spheres. 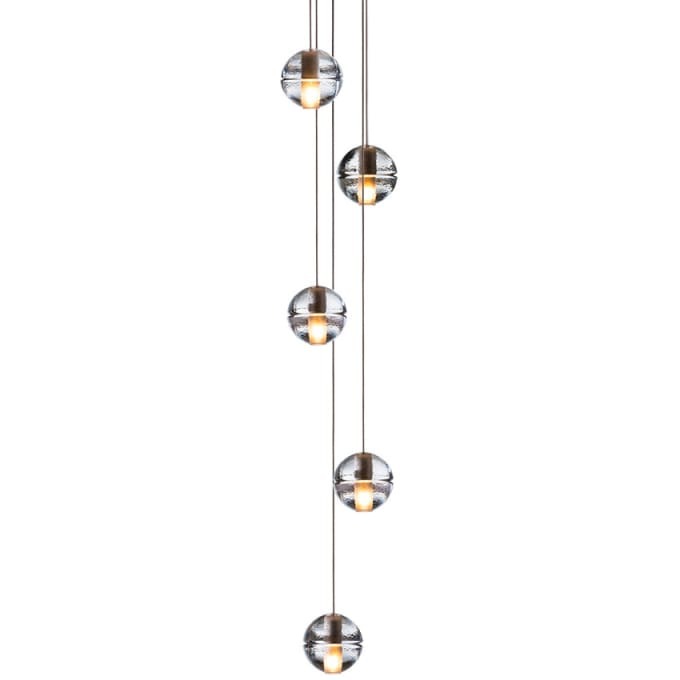 14.5 is a low-voltage cluster of five articulated, cast glass spheres with cylindrical voids, each housing either a 10-watt xenon or 1.8-watt LED lamp. 14.5 uses strain relief connections, which allow the pendant lengths to be adjusted on site. Do you have a question about "14.5"? How can we contact you?